For the modern Pagan and Witchcraft community, horns play a major role as a symbol of fertility, power, and protection and yet there are few books that discuss the significance in a way that makes sense to a practicing Pagan. 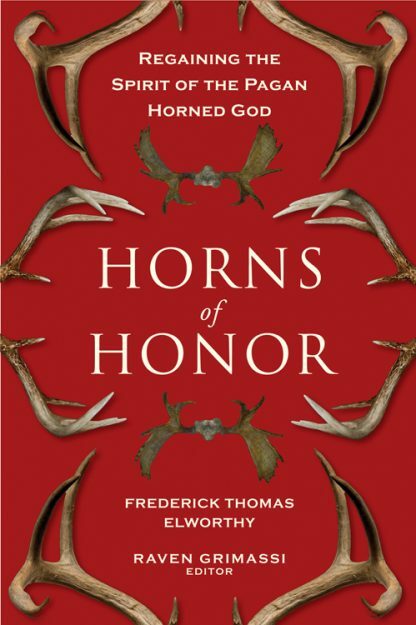 In Horns of Honor, neo-pagan scholar and award-winning author Raven Grimassi updates one of the few classic texts on horns, Frederick Thomas Elworthy�s classic 1900 text, Horns of Honor. Grimassi has added a new introduction, footnotes, and commentary to make this extensive overview of animal horns in cultures across time, accessible to the Pagan community. Horns of Honor examines the religious and ritualistic significance of horns in many cultures, the ancient reverence for horned gods, and the horn as a positive symbol. This revived classic is sure to be welcomed by all in the Pagan community. Fredrick Thomas Elworthy (1830 � 1907) was a noted scholar, folklorist, and antiquarian. His other books include The Evil Eye (1895).